Heraldry: Why Don't I Find Something Like This When _I_ Go Shopping? I recently ran across an article I hadn't seen before about an old heraldic roll of arms that had been found in a London antique shop on Portobello Road. 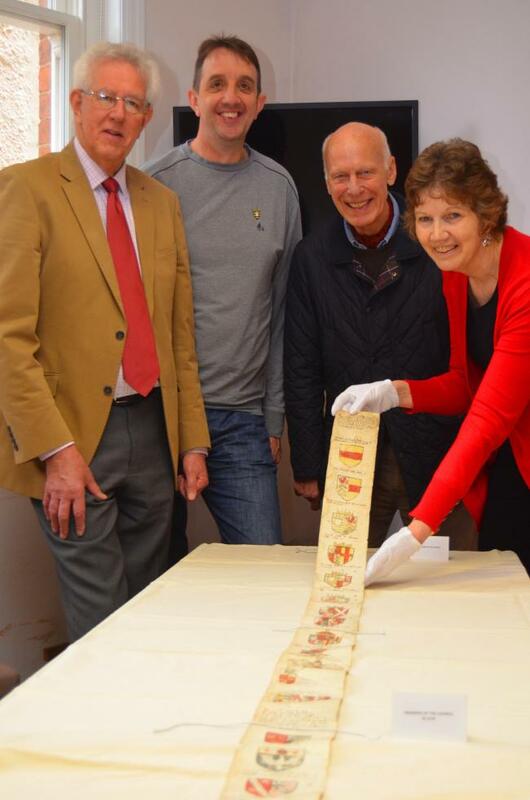 The roll, four inches wide by fifteen feet long, has been dated to around 1584 and contains 42 coats of arms: eleven owners of Ludlow Castle between 1085 and 1570, nine Presidents of the Council of Wales and the Marches from 1478 to 1570, and twenty-two members of the Council in 1570. The arms include those of Edward IV and Elizabeth Woodville, Henry VII and Elizabeth of York, Henry VIII and Anne Boleyn, and Elizabeth I. It is believed to have been commissioned by Sir Henry Sidney, Lord President of the Council of Wales and the Marches. The town is hoping to purchase the scroll, preserve and restore it, and put it on display where you, and I, can go see it the next time you, or I, are in the area. But still I ask, why is it that I don't seem to find really cool heraldic stuff like this when I go shopping?